Okay, let’s just state the obvious: fundraising can bring nausea to the most solid of faithful followers of Jesus. Often it takes a strong paradigm shift away from an “asking” or “begging” mentality for ministry funding to one that gives friends the “better” option because they get to be the givers. For this paradigm shift, I must remember like Luke did in the book of Acts that even Jesus himself said, “that it is better to give than to receive” (Acts 20:35)! After leaving my corporate job, I left my apartment, sold most of anything of value that I had, and moved back in with my parents until I raised the ministry support I needed to Missionally launch. The very first morning I woke up and on my parent’s front porch was a crumpled brown paper lunch bag with my name on it. I opened up the bag to find a note that simply said “Dan, God told me that you need this more than I do”. In the bag was $67.23 of quarters, dimes, nickels and pennies. That is all I needed to get it: God would take care of me, if would trust Him to and let him provide. I have never looked back from that moment! With that all said, I have observed a few principles on fundraising over the thirty plus years that followed that front porch memory. Please consider these few thoughts on how to navigate your own 7 C’s of fundraising that lies ahead. Please read and think through the list below before we start the first of four modules on fundraising. Am I so convinced of God’s missional calling on my life, that I am willing to do ministry free? Knowing that I cannot ask people to go any further than I have gone, am I willing to lead in sacrifice and generosity regarding both in generous sacrificial giving and selfless service? Is the task at hand (raising the dollars from a support team) so God sized that I know, for certain that I cannot do it without God? Do I believe that God owns everything (Read 1 Chronicles 29:11-12 and see if anything was left out) and it is from His hand that all provision will happen? Coach – someone who has been a part of fundraising (preferably in the ministry focus that I am involved in) that can meet with me, encourage me, strategize with me and challenge me to press on. Prayer warriors that will cover me, my family, the mission and the provision of resources with bold prayers of intercession. 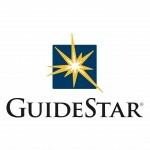 Lead developers that will lead the charge in building relationships with team members who can pray, fund and serve the mission. Administrators that will cross the t’s and dot the I’s for you, keep you on track for all the ad-ministry details that can make or break you. 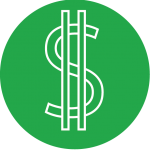 Accountants that will note the credits and debits, balance the budget and keep donors informed on status and thankfully receipted. Will I collect the contact information of my champions first – those who believe in you and will be financial stakeholders in your endeavor. Think about those who remember your birthday with a gift or a card – close friends and close family. Part of the joy in FUNdraising is seeking God in the process of prayer and if the Bible is true, then I believe that Jeremiah 29:13 guarantees that if I seek Him, I will find Him if I seek Him with my whole heart! In God’s economy – he wants me to ask, seek and knock and in the process I will grow deeper in love with Him. Will I Carefully research and communicate an awareness of how the missional expression that I am a part of is unique, effective and critical to the Kingdom? I need to be able to communicate this effectively both verbally and non-verbally. 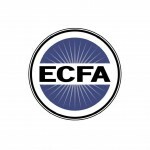 am I willing to specifically ask those on my champion list to join me in prayer, financial support and or direct ministry involvement communicating the how much, how often and how long of the request? Will I let the team know specifically what I need from them and for how long? A short note on asking for multi-year commitments – I personally think that they tend to move my heart away from God and my seeking him for daily bread (‘nough said). Am I willing to take the time necessary to express gratitude with those who invest in the mission in any manner and to celebrate with the team all milestones reached? Knowing that it is a two way street in living by faith, will I be equipped to remember significant dates (birthdays and anniversaries) and prayer needs for those on my team? If I am truly building a team than I have to see the big picture as relational and formational and not just transactional. 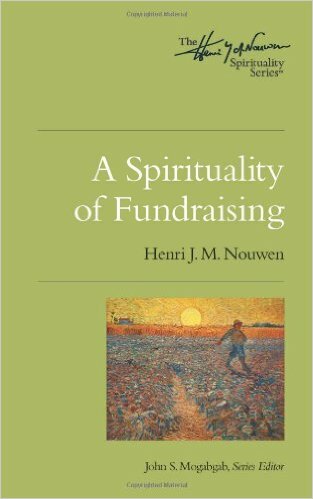 Read Henri Nouwen on Fundraising book assigned to you when you joined the MPP. 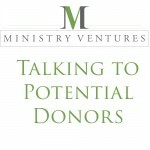 Ask your mentor their best and worst experience in being asked to financially support a ministry.